This post was inspired by something I wrote a year ago to a friend feeling overwhelmed with life and the physical condition of her body just 3 weeks after giving birth. I’ve changed a lot of it and added to it to apply to more women but the message is the same. I often see or hear of women pushing themselves to return to normal as quickly as possible after birth. In a hurry to get their life and body back they jump into a myriad of activities at warp speed, often just days after giving birth. Riding on the birth and baby high, pumped full of adrenaline yet restless from the last few weeks of pregnancy, particularly if they felt like a watched pot, these women fill their schedule, attack their house, and find new projects determined to not be slowed down, impatiently trying to control and master this new version of normal. These women are often viewed with admiration and awe and the media highlights celebrities that are back to their prepregnant weight by 6 weeks or were spotted out jogging at 3 weeks or were back on the set of their TV show at 10 days. This is held up as the epitome of a strong woman, give birth, bounce back, conquer world. After all, women in China squat in a rice field, push their baby out and throw them on their back then return to work, right? It’s as though we’ve forgotten to celebrate. We’ve forgotten how important it is to rest after a hard work and enjoy the fruit of our labors. We’ve forgotten that while pregnancy and childbirth may not be an illness our bodies still need to recover from the taxing physical and emotional demands of the endeavor. 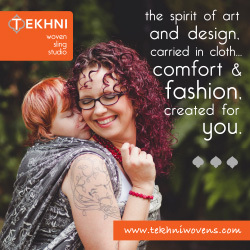 Pregnancy, labor and childbirth may be a normal part of life but it is anything but easy. The change a woman’s body goes through are massive to say nothing of the emotional journey as well. Ignoring this reality can have serious consequences for our bodies, our emotional health, our breastfeeding relationship with our baby, our mothering, and our families. Do not underestimate the potential for damage if we neglect our postpartum healing. I understand the temptation, the drive. My pregnancies are difficult and I feel more alive after birth than I ever feel during the months of pregnancy so I can’t wait to get back to feeling well and being active. Two weeks after giving birth to my first we moved and I returned to teaching private lessons and was leading worship at 3 weeks. With my second I was performing at 6 days postpartum (dress rehearsal was at 5 days), my dress too tight in the chest thanks to being engorged and my baby in the green room with a friend where I’d run to nurse her between sets praying I wouldn’t soak through my breast pads. With my 3rd baby I did nothing… for a week and then I was back cleaning my house, cooking and grocery shopping. I actually had maternity leave that time and I took it, mostly. The only reason I wasn’t out shopping, taking the older kids to the park and lessons was because we all got the flu when she was just 3 weeks old. Almost 5 years later baby #4 was born and I still hadn’t learned my lesson, shopping at Baby’s R Us at 2 days postpartum, walking the mall at 2 weeks and attending births at 3 weeks and that was after experiencing uterine prolapse during the pushing stage. In the 2 years between #4 and #5 I learned a lot, worked with a lot of women as a midwife student and doula, studied different cultures’ approach to birth and motherhood, talked to midwives and many mothers and came to realize that we were missing something vital. Nearly a year ago with Smunchie I did nothing for almost 4 weeks and then tried to gradually ease into activity after that. The biggest obstacle I encountered in trying to rest? Not my children, not the house cleaning, not the cooking, not anything I was missing out on. No, the biggest obstacle was the voice in my head and a tiny handful of other people (including the company that came to “help”) saying I couldn’t let this “keep me down,” I was strong and there was so much to do. Dear pregnant women and recently postpartum women, I have a few things to say to you. Please, please, please let yourself rest and recover, do not be impatient with this postpartum time. You have gone through so much and now is the time to simply be with your baby. You have not done a small thing, no. This major organ and bag of muscles in your body grew quickly more than tripling in size in a few months. Your blood volume more than doubled. Demands were placed on your body and while it rose to the challenge this also depleted your resources. Organs shifted and were smashed. If you had a vaginal birth your body worked to move your baby down and out, stretching, pulling, opening, applying 40-60 pounds of pressure as your uterus flexed it’s great strength to bring you your baby. Parts of your body stretched and eased out a whole person, a small person but still, a person. And maybe not that small. Any tearing or swelling needs time to heal. If you encountered interventions outside of your body’s own initiative then you have additional physical stress and possibly emotional stress to recover from as well. For those that had a cesarean, you had major (as in, serious, muscle separating, invasive) surgery that removed a significant mass (baby, sorry) from your body causing significant blood loss, a shift of internal organs, and an incision that all require recovery and healing. C-section surgery may be the most common surgery in our country but that doesn’t make it any less invasive and traumatizing on the body. C-sections don’t mean you get to completely skip out on postpartum recovery and “only” have to recover from surgery, no, you have both to do and this isn’t easy. Some of you labored and had major abdominal surgery too. However your baby was born you need rest and lots and lots of it. Either way there is a large wound inside you where the placenta was attached, it needs rest to heal. Days or weeks into your postpartum recovery you are healing from huge physical changes and giving birth, maybe surgery, tears, and more. There are major risks to not resting and not recovering well including anemia, uterine and pelvic prolapse, scaring, life-long incontinence, infection, incision rupture, muscle strain, depression, and much more. Six weeks is a small amount of time to ensure you recover well. Mothers recovering from a c-section, remember you had major surgery and you should be resting, REALLY resting for at least 8 weeks knowing that surgery can take even longer for full recovery. 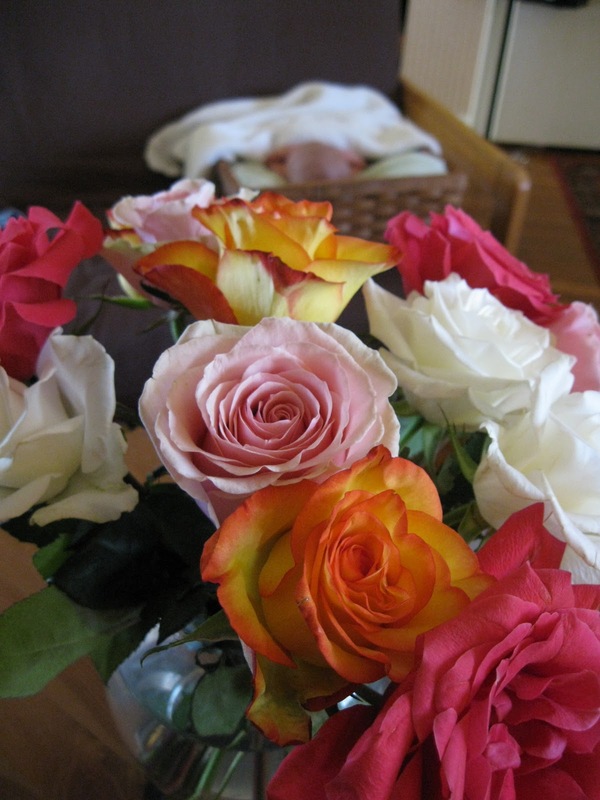 My roses from The Piano Man after Smunchie’s birth and my baby hanging out. The western world has placed unrealistic expectations and demands on new mothers during the postpartum period. We not only neglect them but we ask them to neglect themselves! I’m a firm believer that staying home, lounging in your PJs for 6 weeks with good food, real support, and helpers is the best way to set a new mother up for success. In cultures where this is practiced postpartum depression rates are significantly lower, mothers report being happier and more confident and partner relationships are stronger. A woman’s partner sees that she has gone through a physically trans-formative experience and respects that more in her. I am a huge advocate of pregnancy and birth as normal, life events, not an illness but at the same time recognize that we must embrace the changes that this normal process brings our bodies with peace, rest, and gentleness for ourselves. I know it’s hard, I know you’ve been stuck feeling crappy at the end of pregnancy for what feels like ages and it is hard not to be in a hurry to return to normal. There can be an itch to return to normal activity. But here’s the reality check we rarely talk about: you have a new normal now. Life will never go back completely the same, everything has changed. Normal is now redefined. This new normal includes having been pregnant and giving birth, being a mother for the first time or having one (or 2 or 3) more children than you did before. Busy before looks nothing like busy now. Sleep is changed. Instead of handbag you carry a diaper bag. You don’t even pee the same way. Your body is different. Our culture tells us these things are the bad parts of becoming a mother but maybe they are actually the good parts. I don’t know but what I do know is that at first it is just crazy overwhelming. Your postpartum time can help you ease into this new normal as much as possible. Pull out of your regular activities, they will be fine not having you for a few weeks I promise. You will too. Recognize that there will have to be a lot of flexibility because your baby simply isn’t going to be reading the same things you are. Just like with labor and birth take it one step, one minute at a time. Go easy on yourself and show yourself some grace. Even if you have other children already you need this time and the truth is they do to. Having things change drastically for them for a short time isn’t going to be the end of the world. In our family, an almost no screen-time family, we watched lots of movies all day, played wii, ate in the living room, had a stack of library books, got some special toys we pulled out for this time and believe it or not, we didn’t explode. It was fine and we moved back into our routine in time. Embracing the changes you are all experiencing means giving room for them to happen. And by the way, those celebrities you see, they have help, lots and lots of help. Not to mention they’re not respecting themselves either by ignoring this time. The Piano Man sitting with a jaundiced Smunchie in the sun while I napped, well, napped after I took this pic. Now, I’m pulling out the mommy tone… you can ignore me if you like but I have to say it. Put the car seat down. For that matter, put the keys down. You don’t have to be super mom. In fact, if you try you are likely to burn out and find yourself much worse off. Take it or leave it but I’m giving you permission to not wash your hair, not change your clothes, not leave the house, not wash a dish, not pick-up a toy and not do anything else than put a DVD on, sit on the couch with your precious baby and be the postpartum woman you actually are. Stare into your baby’s eyes, stare at partner staring into your baby’s eyes. Close your eyes and take a nap when all three of you are tired of staring. Focus on breastfeeding and getting your supply well established, take the time to get both you and your baby comfortable with breastfeeding. Sip a glass of wine once in a while, take a long shower while someone else holds your baby, ask a friend paint your toe nails. Have your husband bring food home, if you don’t care, let him pick, if you do care, call ahead and have the order placed and just let him know where to stop on his way home. Order extra so there are left-overs for tomorrow. Ask him to help pick up around the house even while you just lay in bed or sit on the couch. Yes, he’s tired, yes, he may be working a lot and dealing with the stress of sleep issues with a newborn in the house (maybe) but, sorry, you still have the trump card of 9 months of major body changes, the extreme workout of your uterus contracting and pushing our a baby or the muscles in your abdomen recently severed, pulled apart and opened and your baby extracted from your insides after which you were put back together but not completely. Put the car seat down. Oh, I said that earlier. Well, I mean it. Ask for help, friends, family, or hired help (postpartum doulas are great) and actually let them help. You need rest and healing. Whatever that looks like. Who gives a flip if you take 6 weeks to do nothing? Being truly rested and healed is worth the time. You don’t have to be on house arrest the whole time by any stretch but after giving yourself a good 2-3 weeks staying in, ease yourself into the outings slowly and listen to your body and go home when it says it’s had enough and it’s time to rest. Your body has ways to tell you when you’re not resting enough. If you spot any of these in yourself it’s time to slow down. Bright red bleeding– The first few days the lochia (postpartum discharge of blood, tissue, and mucus) is usually heavy and red but it tapers off to pink and mucusy and then brown. When you see bright red after it has changed then you are doing too much. Thirst– Change in blood volume, hormones, sweating, and breastfeeding make staying hydrated important. If you’re thirsty then your body is telling you it’s dehydrated so please slow down and drink more and eat food rich in water. Exhaustion– Being tired goes with having a new baby but if you’re exhausted you’re setting yourself up for a host of other problems including postpartum depression. Sleep is important. The old adage to nap when the baby naps isn’t just for fun, you really need to try to sleep every chance you can. Baby Blues– It’s completely normal to have a wide range of emotions after having a baby and feeling a little blue isn’t uncommon. However, when that feeling is stronger than just a bit of the blues or you find yourself battling overwhelming sadness, anxiety and stress, look and see if your schedule is too full. Don’t hesitate to talk to your doctor about it if the blues turn into something much more oppressive. Constipation– There are several causes for constipation including diet and fluid intake but did you know that if you’re not getting the rest you need and not taking the time to eat and drink well it can also contribute? And after pregnancy and birth you want to keep things easy down there. Trouble sleeping– Babies wake often to feed so sleep can be a little difficult to come by in the early days. If you find yourself unable to sleep when you do actually have the chance it could be because you’re not getting enough rest and are overtired. Activity can help with sleep to but don’t rush into anything, take your time and be well rested to avoid a vicious cycle. Breastfeeding troubles– There is nothing like staying home for weeks, putting your feet up and making sure you and your baby get off to as good a start as possible. This takes work, attention and sometimes perseverance. The first week is particularly important, lay in bed, eat, drink, nurse, change diapers there, and get your supply established by feeding on demand. The dust bunnies can wait, someone else can do the dishes or use paper plates but this breastfeeding relationship is for the long haul and not something that you want to worry about fixing later. Continued bleeding– Most women stop bleeding anywhere between 3-6 weeks postpartum. I have seen with myself and with other women that the postpartum bleeding time can be greatly reduced by resting and for those that don’t rest it often extends, sometimes going much longer than 6 weeks. Touched out– Babies like to be close which is great, we like to have them close too. But sometimes you may wonder when was the last time someone wasn’t touching you. If you start feeling touched out and overwhelmed with physical contact it may be time to let someone else hold your baby. Your brain is signaling for you to take care of yourself and being fatigued will make you overly sensitive to stimulation. Feed your baby and hand him/her off while you take a nap alone, shower or make a run to the coffee shop drive-through. It wasn’t until my 5th baby that I finally rested postpartum. Looking back I don’t regret taking that time at all and I wish I had respected myself and my babies more the 4 times prior. Due to some health concerns with Smunchie it wasn’t exactly the restful period I had hoped for but it was significantly more so than it had ever been with my 4 older girls. My bleeding time was 3 weeks, we stocked up on cuddles as a family, I was actually able to sleep even with a crazy breastfeeding and pumping schedule, and I felt great. There were moments when I felt I should be doing something but nothing was left undone that either someone else couldn’t do or couldn’t wait for me to get around to it. To combat feeling lazy and unproductive (sleep is productive though!) I did knit some and really enjoyed having my baby laying next to me while I knit her some sweet clothes. 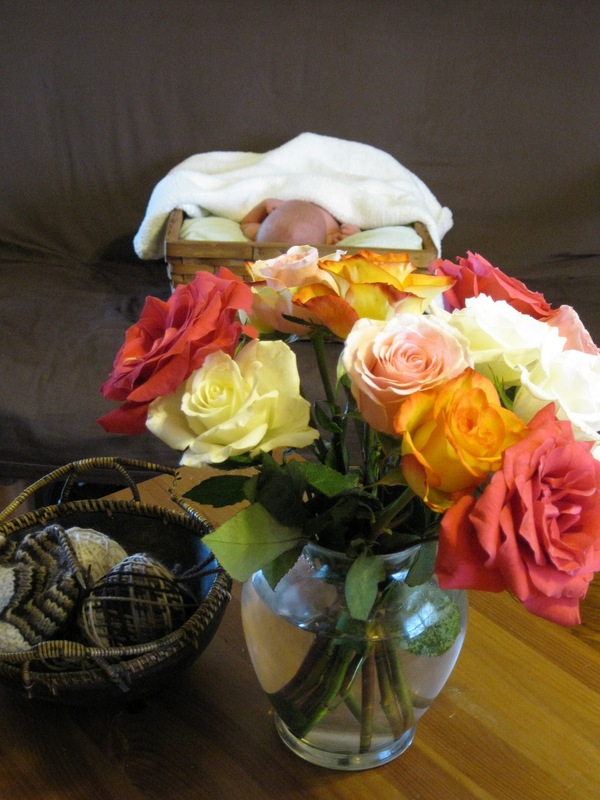 Roses, baby and my knitting 1 week postpartum. In all of my long-winded babbling my point is respect yourself, respect this time. Hold onto it, fight for it, it will pass quickly and there are precious moments here. Moments of healing, moments of growing, moments of developing, moments of transition, moments of deepening and moments of memory. The first six weeks or so pass in a blur as it is, slow down so you don’t miss them entirely. If you are too busy for those moments you will feel like you missed something and your body will not be in a place to help support the pace of life having a new baby now puts you. There is no doubt you can do it but how you begin can make a huge difference in how you continue. Rest for now, busy will always find you again later and your new normal will engulf you soon enough. I really wish I had read this 6 months ago. I sit here and cry because i really wish I had done all of this cause now I am tired, overwelmed and stressed. This was number 3 and i spent 1 day in bed, was at walmart by day 2, was supposed to have ppl help me but at 5days pp relatives came and I was the host. At 5wks my niece was born and I was there for that than they came and stayed with me because it was her first and my brother was working out of town. I wish I dropped the car seat and ignored ppl telling me to get out and STOPPED trying to be supermom and the person everyone was in awe of because I was out and about. PPL who are pregnant or have just had their babes this article should be followed to the T! Enjoy your baby time flies to fast and you won`t even now where it went. THANK YOU! Loved this post! I have written some similar things in some venty blog posts. While I still over did it with my second baby (a VBAC…But I had a 19mos old and not nearly enough support), I really took it easy the first THREE Months… I just kept extra activities down, and it took that long to feel a bit more normal (I heal slowly).It was so frusraitng to me, becuase I felt a lot of pressure and guilt that I wasn't bouncing back…But I had learned after my firstborn (a cesarean) that over doing it in the early weeks can have some horrible results…I landed myself in the hospital with bad complications from a gall bladder stone and ended up there for a week also coming down withe the Flu. It took me NINE months to recover and be able to lift my legs with out pain. It was a hard costly lesson to learn, but I learned! Next baby I plan to be even more organized, have help lined up for the first month before I am even on my own with the kids. I just NEED that, my body seems to heal very slowly and I need to respect that. I will be passing this post around and around, this is wonderful! Thank you! Yes, Ysha, please share. I believe this is a very important issue and women today need to here it. Thank you for your comment. Most what i read online is trash and copy paste but your posts are not alike. Keep it like this. OH yeah, this is all so awesome and so true. And, while it’s clearly implied–6 weeks is not a magic number either. This post also shouldn’t give anyone permission to count the 42 days and then leap into frenetic activity. Nor, IMO, should it give employers permission to do the exact same thing, although it’s what they do, and moms have to live with whatever they need to live with to pay the mortgage and keep everyone fed and clothed. But a corollary to this post is that, for those who DO have to go back to work on day 43 or so, you will be EXHAUSTED when you get home, so regardless of what is required of you those 8 hours or so, the other 16 may need to be spent resting as hard as you did the first couple of weeks postpartum. And guilt about that is NOT allowed. Very true and very valid points. Six weeks isn’t enough time, I consider it the bare minimum. And even if you’re not working outside the home, returning to regular activity is going to be exhausting and why us moms need to help each other out. I had one family member come and make me feel bad when she was supposed to be helping, too. When I told her my husband’s first or second morning back to work had been a hard one (baby peed all over himself and the bassinet, toddler smeared apple sauce all over herself, etc, all at the same time) she frowned and said, “well how are you going to handle it?” And then she criticized me for having my laptop open when things were quiet, asking “do you keep that thing open all the time? How do you get anything done?” We were, like, 11 or 12 days postpartum and it was my third baby. I just wanted to cry and couldn’t wait for her to leave, it made me feel so awful. This truely the best advice you could give a new mom. Awesome blog. I always look forward to reading what you write. With my first two I tried to be supermom as I thought it was expected of me. With my third born last Christmas my husband is the one who put his foot down. He made me rest while he shouldered the burden of everything else. I can look back now at that time period with fondnes and it isn’t as much of a blur as the first two postpartum periods. I am so thankful. As mothers what we do is no small feat, but even we fail to reconize this. Awesome! I wish I would have heard this before I had four little kiddos in four and a half years. Should the Lord give us more, I am resting during the postpartum period. i was really bloated a week after having my baby. i think it was from all the saline they IVed into me. but i wouldnt have done it any other way, i loved that epi! anyways this is great advice to relax and recoop. i was forced to sit still for the first week because if i was on my feet for more than 15 min my anles swelled up like balloons. good thing my sweet husband stayed home from work that week, even though we sure could have used that week’s salary. i started going to school two weeks PP, but it was one class a week so it was fine. i think it helped me not to get PP depression. That, and the major support of my family and the breastfeeding. The information in this post is so incredibly rich and important. Thank you for writing and sharing your experience and perspective. Your words give me hope that we can change the way we ‘do’ the postpartum period. As you so rightly say, the demands of western society are harsh and many women feel inadequate if they are not off shopping and ‘doing’ the day after the birth of their babies. I sincerely hope that your words give the women who read this post a cause to reflect and ensure they take care of themselves after birth. As a midwife, I talk to women about the need to value the postnatal time and ways to do that, but sadly I think it falls on deaf ears because the world ‘out there’ gives such different and very compelling messages. People like you with posts like this are helping to change the paradigm. Thank you. Thank you for another great post. I’ll be using it in Sunday Surf. With DD we went completely ballistic too. Running back and forth between the inlaws, ‘holidaying’ in France when DD ws only two weeks, including a nine hour drive. However, planning a restful postpartum period is a tricky case for us. This time we should have a homebirth and rent a house just for us, so that’ll take off a lot of the stress. But we eventually have to get back to Congo and huz’ work is already whining he should be back by the second week of january (that would be 2 weeks post partum). He’s already stressing me about when I’ll want to travel at the earliest with baby. I would like to say at 6 weeks; WIth dd we left at 5,5 weeks and I found that to be really limit. Especially since I came back (Cameroon at the time) and found myself all alone, no help, no friends, no nothing) it will probably be the same here, because we still haven’t found any personnel. Damn, I want to cry just thinking about it. Love this post and wish I would have had it 8 months ago. I was feeling great, up and at’em the day after birth, out to lunch with a friend, shopping and errand running (all with baby in tow, of course)… My milk didn’t come in until the 6th day!!! On the 5th day, my body fell apart… I became extremely sick and was forced to stay in bed… I’m so glad I was forced to because I don’t know what would have happened with my milk had I not been forced to STOP… strip down myself and my baby… and stay in bed. I plan on forwarding this link to all the mamas to be I know. Great post. Thanks for the reminder. I read this post this morning while feeding my 17 day old son. Though I savoured every moment with my last one, even the 3am feedings, the time goes so fast. I am taking more time to heal this time, since the delivery was harder. Having my in-laws here for a week was a great help. It’s unfortunate that it’s not the norm for family to come together and help when a mother has a baby. At least in Canada though, we have a one year maternity leave. I can’t imagine returning to work in 6 weeks or less. THANK YOU!!! Now, to get hubby to hear this! Seriously, thanks. I am having baby number 3 in October and know I need to slow down already. My first born is starting school daily this fall and I am already stressed how I am going to get him there each day! I will have a 3rd C-section and already feel pressure to recover quickly! I didn’t do too much with the first 2 after they were born, I did get out of the house occasionally but I had limited myself greatly and I recovered quickly and easily with both of them. Never even needed the pain meds the docs gave me just some Advil. However, I am already planning on how I will bounce back faster for this one. Thanks for getting my head back where it should be. I am so glad someone wrote this!! I wish I had read this after having my son almost 9 months ago. I had an emergency c-section, and while I didn’t go out anywhere by myself for a full 7 or 8 weeks, I felt like I had to take care of everything around the house constantly because I was the one staying home with my baby. We had a well established breastfeeding relationship, so that part was easy, but I felt the push to make sure the house was clean and the laundry done. If my husband came home and all I had accomplished the day was taking care of my son (not to mention feeding him every 1.5-2 hours) and maybe washing my hair, I felt like I hadn’t done enough. I’m saving this article as a reminder when we have our next baby! And back to that old saw about the peasant woman who gives birth in the field and keeps on howing and planting. Nothing is further from the truth. In most peasant societies there are rules about women lying in for a month or so, not allowed to get out of bed except to pee, being fed the best food in the house – especially broths rich in meat (which is often scarce in such households). What a great reminder! Thank you so much for this. I am currently cuddling with my 15 day old sweet, sweet baby. With my first birth came many complications so I had no choice but to rest after. This one (my second child) was much easier, with only one complication, so I have been feeling great and doing more. This was such a great reminder about why I shouldn’t be doing more! Thanks again! I wish I’d seen this last year, when I had my daughter. I physically felt great after having her, so I didn’t think twice about going out. I did have to go out once; she was two weeks early and born the day after I normally grocery shopped, so I *had* to get food, but other than that, I should have stayed home or stuck to short, leisurely walks. None of our family came to help out and when they came to visit, a week postpartum, I drove myself crazy cleaning, only to hear it was still a mess. I believe some of that was what led into my severe PPD. It took my mother months and witnessing a serious panic attack to realize how bad off I was and that I wasn’t being lazy, I really *couldn’t* keep up. I swear, this article should be mandatory reading for families, as well as new mums. Thank you for posting this. Oh man. Wish I would have read this four months ago! Three days pp I went on a three hour (both ways!) road trip with my hubby and baby to visit elderly relatives who couldn’t visit us. Bad. Idea. Even with a waffle pillow to sit on, I was so sore when we got home. I could barely move the next day! This is such a great post! I wish too i had read it for #2. Maybe it would’ve been easier for our couple to go thru all the changes. With your permission, I would really like to translate it into French and post on my blog. Of course, I would give you all credits. Thanks a lot. I will soon give birth to #3 and will always remember those words of wisdom. Absolutely, please do and please let me know when you get the post up. Thank you! I wish this had been up 6 months ago. My mother in law was here and thought I should go shopping before I even got to go home after 5 days in the hospital and a c section. Her duration comment was how she was back in her pre pregnancy clothes when she left the hospital. She lives in north carlina and I have only met her once beside the birth of my son . That once was nine years ago. She made me desk horrible I did not feel up to shopping and running around town. Next time she is bot invited. I don’t care if it makes anyone mad. My mom stopped me from going and told me to take it easy as she had a c section with me and a hyterectomomy. My little girl was born 2 1/2 weeks ago (VBAC). My mother has insisted me to rest as much as I can, she was here 2 weeks and didn’t even let me go downstairs. Then my mother in law came and she is helping me a lot. My mom even helped me paying one extra day for the person who helps me cleaning the house. I sometimes feel it is too much, I sometimes want to go out, but I feel better than with my first one (C/S),then I didn’t leave work completely, I felt overwhelmed, I didn’t get enough sleep, I was angry the whole time. Today I’m calmed and in a good mood mostly all the time. And even I sometimes get angry at my mom for insisting me so much no to go downstairs, I now thank her for pushing me to rest. And reading this only makes me feel better. I’ve always been good about the first 6 weeks after birth. It’s right after that that I have trouble with. I herniated a disc when my son was 8 weeks old because I started doing too much and my core muscles still weren’t back to where they needed to be. And at 9 months I had some serious sleep deprivation because my son was still waking every 2 hours but I had stopped taking naps long ago so I could finally get some stuff accomplished. It’s hard in our culture when you are expected to be better by a few weeks but really we need to be kind to ourselves for even a full year! This time around I’m trying to think about my pregnancy and postpartum time as equal amounts of time with birth as the high drama point. As I go through the next 9 months thinking about having a pregnancy in reverse, complete with trimesters. I’m still in my third trimester according to that logic and my body is achy and things are uncomfortable. By the time I get to my 1st again at the end of the 9 months I will mostly have my body back and feel more control and familiarity with my new life. Amen to that, Sarah. I really do feel like it has taken me nearly a year to fully recover! Something I struggled with throughout my pregnancy was the pressure from the media and even the women around me to treat pregnancy like it’s nothing. To bounce back like I hadn’t just carried a baby for 10 months and then endured a 3rd degree tear following an unmedicated birth. Granted, not everyone has as difficult a recovery as mine, but c’mon! Thankfully, I’ve always been very comfortable taking as long a break as needed from life, to recover from what ails me. So, following suit, I rested my entire pregnancy (when I wasn’t working full-time up until the very end) and my entire Maternity Leave (12 weeks). Thank you for writing this. Women need to know that it is OK to rest and recover, because you need it, you deserve it, and it will make you stronger, wiser, braver – a better mother. You have plenty of time to conquer the world, but it will be pretty tricky with a hurting body and mind. Just chill, ladies. This post could not come at a better time for me…I am 5 days postpartum and I am already struggling with allowing myself to have time to heal and that the other things can wait. I am trying not to feel guilty about allowing my 3 older children to play video games or watch movies all day and just lounge around and ease into our new normal. My husband goes back to work tomorrow and I have so much anxiety and sadness it’s overwhelming. I like the idea of taking it one day or even hour or minute at a time just as I did when I was laboring. Thank you so much for posting this! This has helped me soo much! THANK YOU FOR THIS POST. I believe that I really needed to take a moment and read this. I am due to be induced tomorrow and I needed to be reminded of this information. I WILL take advantage of the moments and i WILL take the time to watch my husband and daughter in their bonding moments. I WILL be easy on myself and I WON’T be quick to wash dishes, dust, organize, make the bed. Thank you for this post and the reminder that this is one of those moments that I need not be perfect and do everything great in a reasonable amount of time. this is great. thanks so much for putting this all down in words. i’m sending this link to my friends who just had babies. my background is chinese and we practice post-partum care, where the mom is “confined” to the house for at least 4 weeks and is not supposed to do anything other than rest and breastfeed. having lived in western cultures for a few years now, i was quite resistant to this idea initially when my mom brought it up. i did not want to be a “traditionalist” i wanted to be like white caucasian women who are so strong, going out shopping 2 days post partum (like you with your first few kiddos!). my mom insisted and after doing some research about post-partum care, i agreed but still reluctantly. it was only until i actually went through this post-partum care myself that i TRULY appreciated how important good rest is. my mom stayed with me and my husband n washed, cooked, cleaned, and rocked my little baby to sleep at times. sure, my husband was also around to help but there is nothing like having my own mom care for me. also, women are more sensitive to other women’s needs and i felt so grateful to have had that care. and it’s true, post partum depression seems to be lower in cultures that are more community based rather than individualistic and where post-partum care is more important. i will definitely have my mom help me out again if possible with other post-births. or hire someone for a month to do that for me. happy mom = happy baby (and happy husband).